If you have been experiencing back and neck pain, headaches, or muscle pain, your primary care provider may recommend that you see a chiropractor! Whether your pain is from an injury, repetitive stress, or aging, a chiropractor may be able to help. Chiropractors manipulate your spine and other parts of your body to help with joint mobility and relieve pain. Chiropractic care is a safe treatment that helps many people to treat both acute and chronic pain. Many of our patients use chiropractic methods in addition to other treatment courses to help them feel and move better. 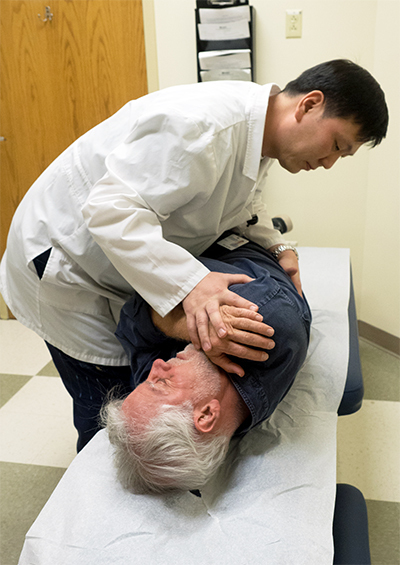 Chiropractors are available at some of our locations to help you manage pain and stiffness.